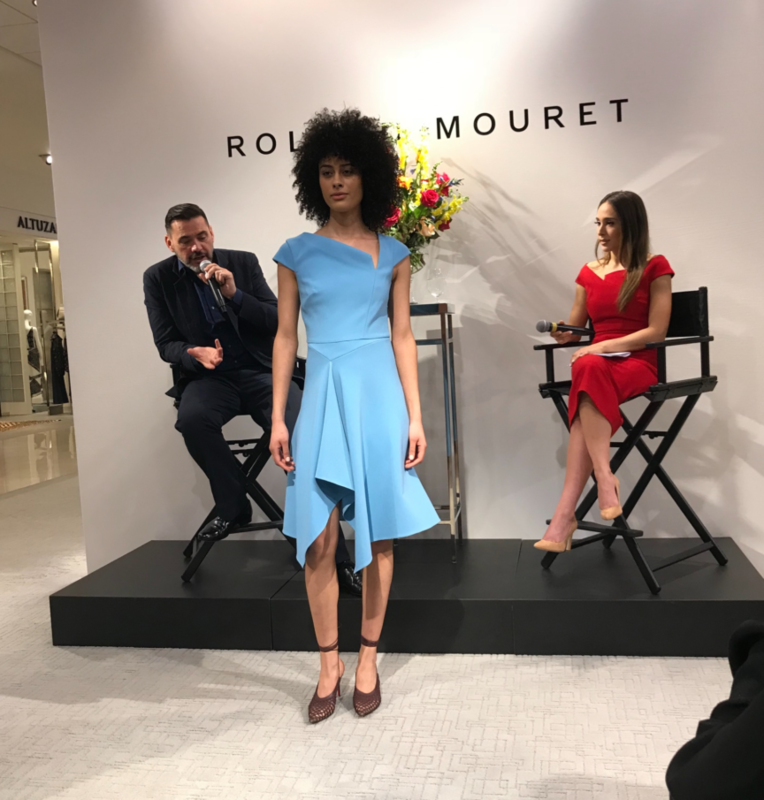 I had the pleasure of attending an event at Neiman Marcus featuring Roland Mouret. 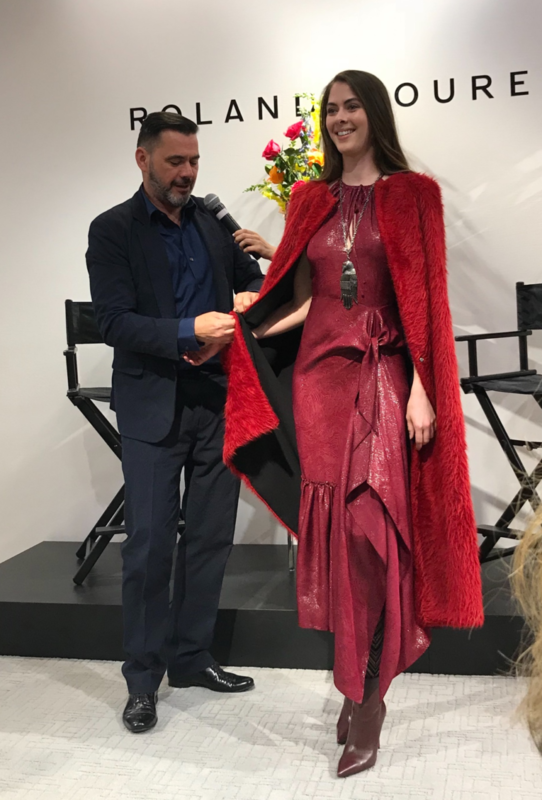 I was able to preview his stunning Pre-Fall and Fall collections and participate in a Q and A segment. 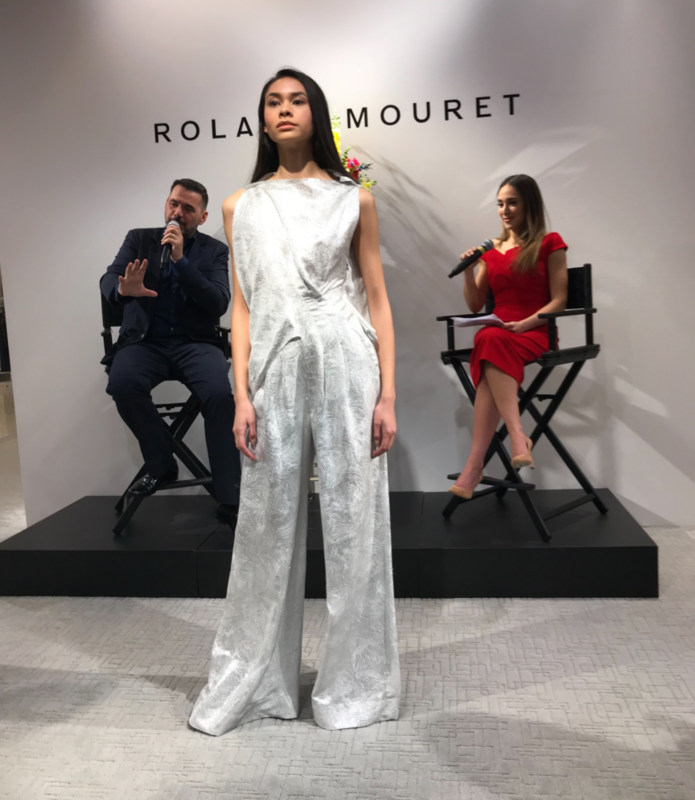 Roland Mouret believes his unique background – he grew up in France as the son of a butcher – gave him the knowledge to help him understand the human body. 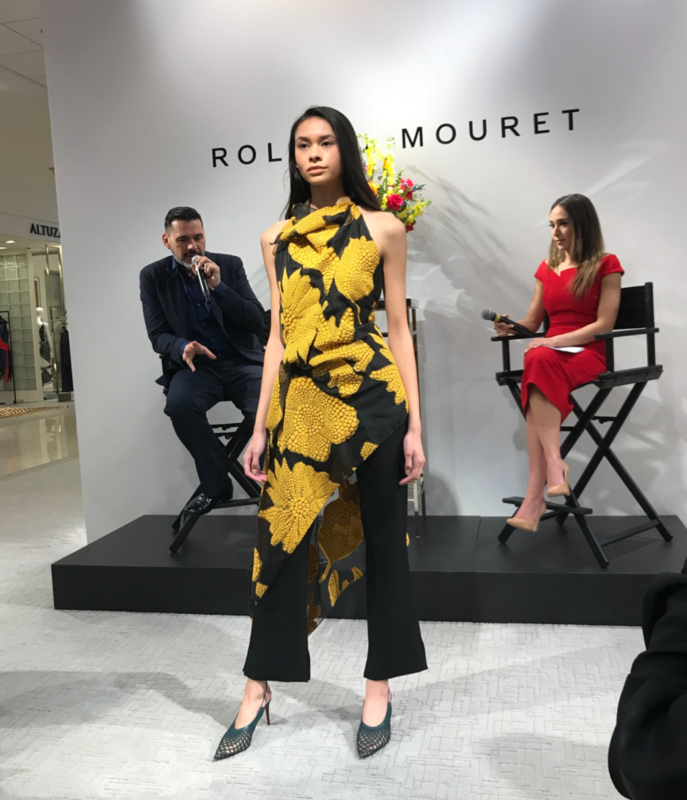 He has no formal training and chooses to design by draping fabric instead of traditional sketches. I was touched by his love of women and warm personality. 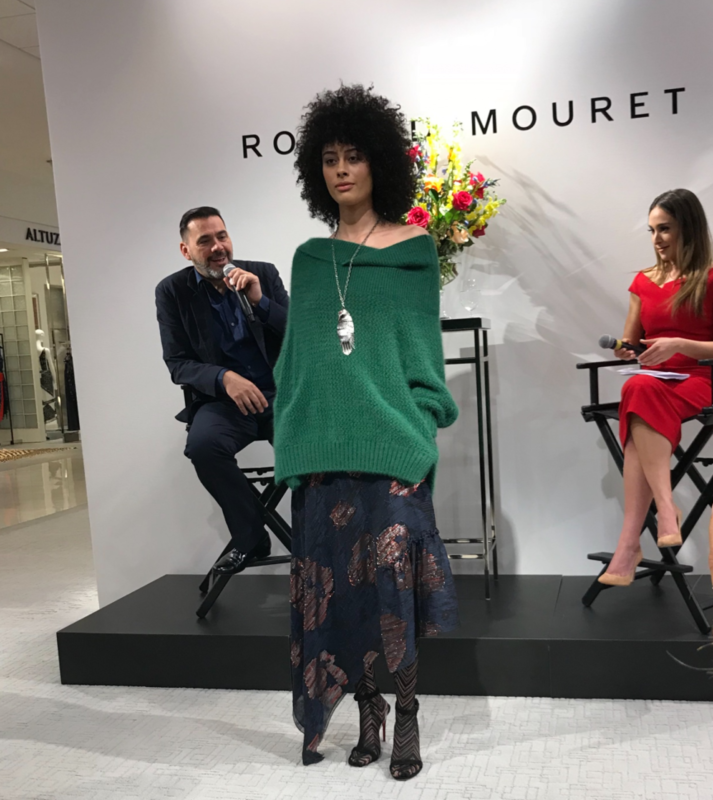 Roland gave some interesting styling advice for women. He encourages them to try new things and believes the worst thing that can happen is that it doesn’t fit. He likes the idea of women presenting different versions of themselves throughout their lifetime. He also reminds women to pay special attention to the back – his favorite part of every body and garment. 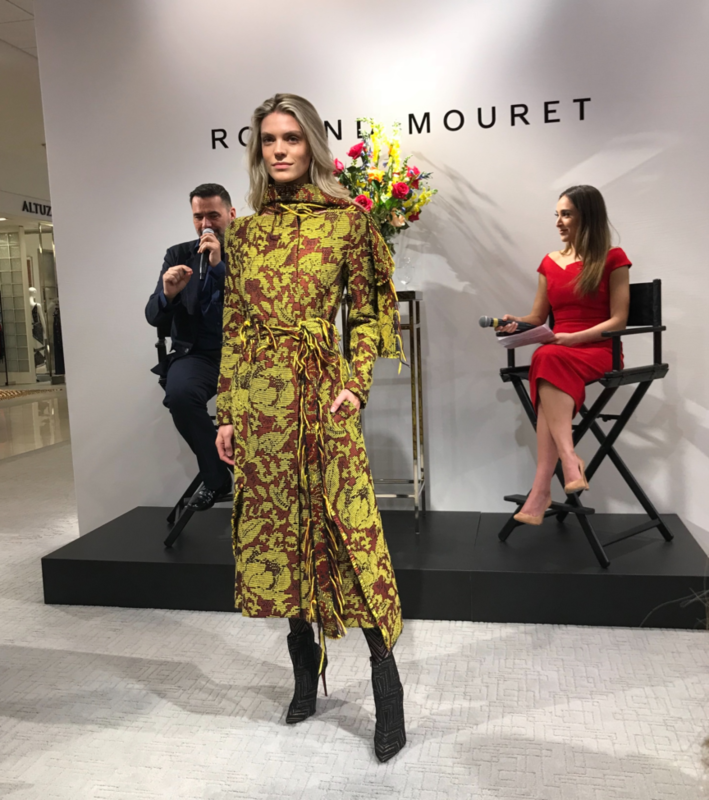 The Roland Mouret Pre-Fall and Fall collections were both fantastic. 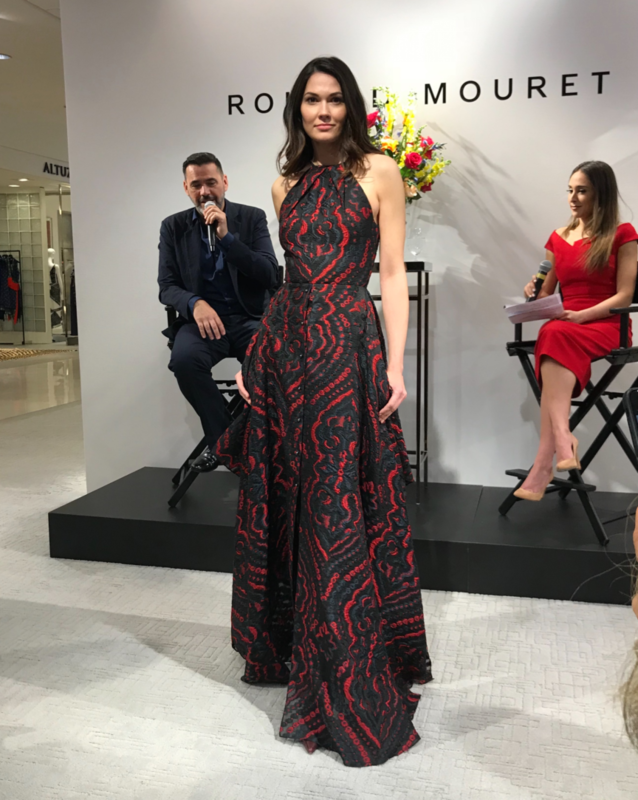 The focus was on his classic dress silhouette in an A-line shape and beautiful separates. 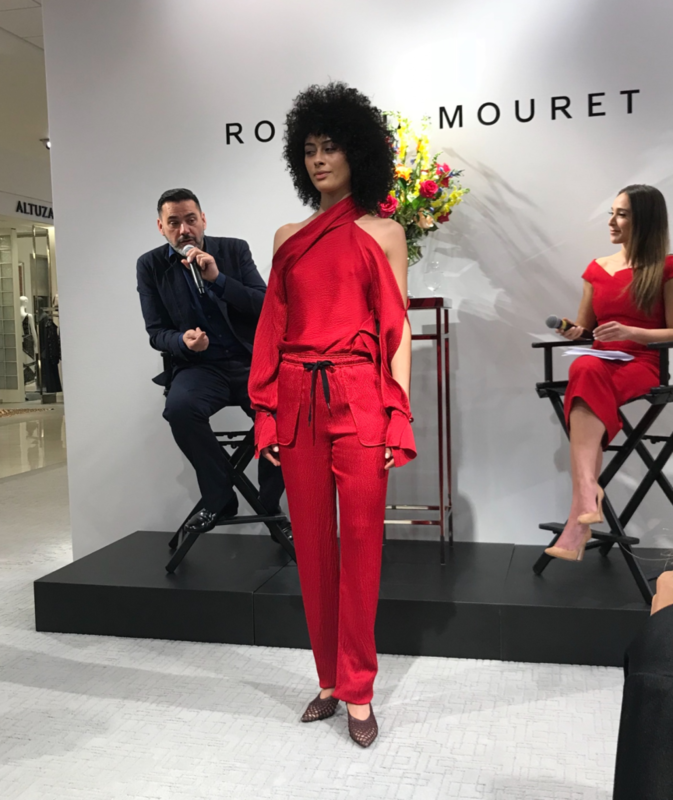 There were also a few amazing jumpsuits which Roland believes are the new direction for evening wear. I included some highlights from these collections. 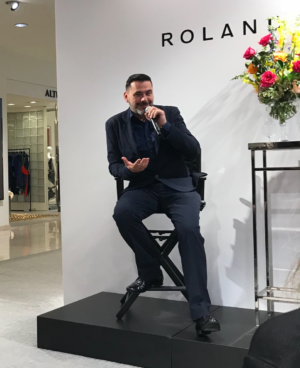 Roland also discussed the launch of his new perfume. It is designed for women but can be worn by men. He personally wore it, and I couldn’t help but notice the mesmerizing scent.